I'm a huge fan of night photography. It's a chance to capture an image in ways most people don't see with the naked eye. A captivating night time photo sets photographers apart for people who own cameras. A true photographer knows how to harness light in ways that grab people's attention. This example from northern Minnesota is a great way to grab one's attention. 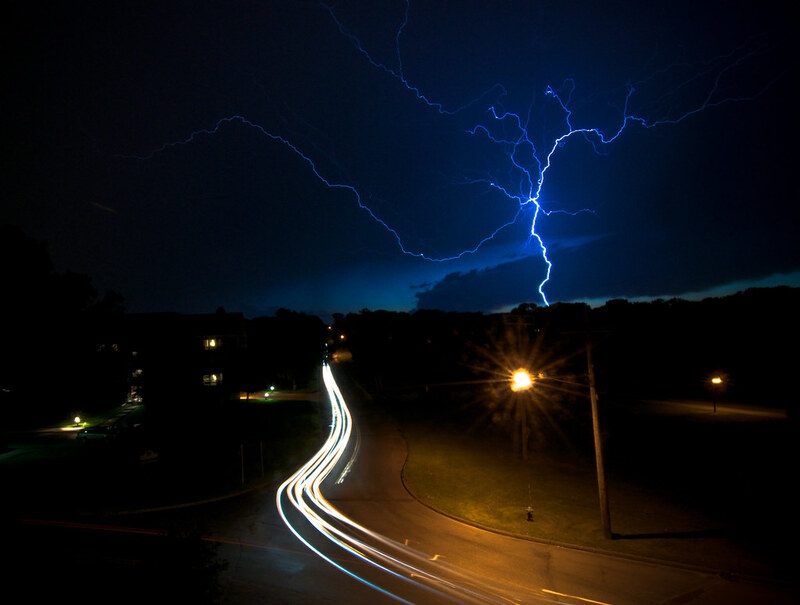 This image of light trails on the street below seems to be a matter of lucky timing when paired with multiple bolts of lightning in the night sky. It's a sort of man meets nature moment.